In the days following Harvey, we reached out to a variety of people in our network to see which shelters needed the most urgent support to keep displaced pets fed. So far, we’ve donated about 45 pallets of dog and cat food to a variety of Texas shelters including Austin Pets Alive, Fort Bend County Animal Services, Richmond SPCA and Cassie’s Place. Through our WellPet Foundation, we’re donating $10,000.00, split between the American Red Cross and Austin Pets Alive. WellPet is also matching up to an additional $5,000 in donations to these organizations based on employee contributions. We have also looked into volunteer opportunities for WellPet employees in Texas. In the coming weeks, a group of WellPet volunteers will travel to Texas once we confirm where we can best help out. WellPet is generously covering all associated employee travel fees as well as accommodating time off. If you know of a community in Texas in need of volunteers, please post on our Facebook page or email us at info@wellpet.com. As passionate pet parents, one of the ways we’re prepared to help is with shelter and love for displaced pets, either through fostering or adoption. We’re working with Yellow Rose Animal Rescue and Seer Farms who are currently in the process of re-locating animals out of Texas to New England to make more room in the shelters inundated with rescues. We hope to be able to share some of our foster stories in the weeks and months to come. Tough times like these help remind us that we’re all in it together. In what ways have you or your employers been lending a hand during the aftermath of Hurricane Harvey? When did your pet get his last wellness check? It may have been a while; it’s easy to let well-vet visits and annual check-ups get lost in the daily shuffle when your pet is happy and healthy. Though your pet seems healthy, it is important to attend to routine vaccinations and check-ups. August is National Immunization Awareness Month, so as you get your own health in check, take time to swing by the vet; this will ensure you and your pet have a healthy year. Why Are Annual Vaccines Necessary? Vaccines are used in human and pet medicine to strengthen a patient’s immune system against dangerous and deadly diseases. In recent years, you may have noticed the number of vaccines your pet needs have increased. The reason is that as veterinary medicine advances, so do the variety of vaccinations that are available to immunize your pet against disease. In other words, if there was a vaccine to immunize against heart worms, wouldn’t you want it? As for whether or not vaccinations are necessary on a schedule is dependent upon the pet. The recommendation is to update most immunizations annually as the longer a pet goes without a vaccine, the weaker his immune system becomes (some immunizations are needed every few years). Though getting increasingly more vaccines year-after-year seems costly, two consequences of not getting vaccines that are more costly are: your pet becoming seriously ill or losing your pet (in which case, the costs are emotional). What Vaccines or Boosters do Pets Regularly Need to Get? Distemper: Canine distemper is a severe, airborne virus that can cause permanent brain damage in dogs as well as other problems. Feline distemper is also severe and can be fatal. Parvovirus (canine): This is a contagious disease and can cause severe vomiting, bloody diarrhea, and death. Calicivirus (feline): A contagious upper respiratory condition leading to oral ulcerations, fever, joint pain, and anorexia in felines. Rabies: Rabies is fatal to cats and dogs; there is no treatment other than prevention. Adenovirus, types 1 and 2 (canine): Type 1 is spread through canine urine and feces and leads to hepatitis, which causes severe liver damage and death. Type 2 is spread via coughs and sneezes. Feline Herpesvirus: Herpervirus causes a highly contagious respiratory problem called feline viral rhinotracheitis (FVR). There are also non-core vaccinations that are highly recommended but that can be administered on a case-by-case basis. Variables for non-core vaccinations include your pet’s health and age and risk of exposure. A few non-core vaccines include those for feline leukemia, bordetella (feline & canine), canine influenza, and lyme disease (canine). What if My Pet is Indoors? A common question when it comes to pet vaccinations is whether or not pets that live exclusively indoors need routine vaccinations. Individual veterinarians may have differing recommendations for the frequency of vaccinations, but the recommendation is still yes. Though indoor pets have less exposure to potentially deadly viruses than outdoor or indoor / outdoor pets, there is always risk be it from your pet getting outside, to encountering an ill animal, to having an already-compromised immune system. Consult your veterinarian to determine what vaccines your pet needs and how often. If you haven’t had your annual check-up yet, or if it’s been a while, make an appointment this August and get on the health bandwagon during National Immunization Awareness Month. Vaccines are one essential way to boost your pet’s immune system. Feeding your pet a diet rich in natural ingredients is another important and easy way to contribute to your pet’s immune health and overall wellness. Can My Pet Get Zika Virus? It’s summer, which means pesky insects are abundant, making now the best time to learn what’s “bugging” your pet. One of the most widely reported concerns is Zika virus. Zika is spread by mosquitos and is known mostly for causing issues in pregnant women’s fetuses; however, it’s important to know if Zika can harm your pet. Learn what other insect-spread issues are prominent in the summer and how to naturally prevent them. Can Cats & Dogs Get Zika? So, for now, it’s safe to assume that your pet (or their young if they become pregnant) is not vulnerable to Zika; however, mosquitos do carry other viruses (such as West Nile Virus (WNV)) and diseases that can substantially compromise your pets’ health. What Pest-Transmitted Illnesses are Problems for Pets? Dogs, it seems, are safe from West Nile Virus. While they can become infected, they show no clinical signs of WNV. Cats, on the other hand, can show mild signs of WNV including: fever, lethargy, and smaller appetite. Another not-so-common mosquito-transmitted infection pets can get is Lyme disease. Signs of Lyme disease, which are depression, smaller appetite, and lethargy, are relatively similar to those that appear in cats infected with WNV. Year-round treatment is a good way to help prevent your cat or dog from being bitten by an infected mosquito. How Can I Naturally Protect My Pet from Disease & Infection? Lemon eucalyptus oil, which has been proven to be more effective than the leading chemical-derived mosquito repellent. Look for a pet-safe lemon eucalyptus oil to use around your home. Geranium oil and soybean oil are also effective natural solutions and are available in pet sprays. Citronella oil is most often found in lotions, sprays, and candles. Being near a candle or incense burner lowers the risk of being attacked by a mosquito, but it’s noted that Citronella shouldn’t be the only repellent solution you use. Any oil or herbal solution you choose to keep your home and yard mosquito-free should be carefully researched. Make sure you have a pet-safe solution of whatever it is you use; after all, your main goal is to naturally keep your pet comfortable, healthy, and safe throughout the summer. If natural solutions to your pet’s health are a priority, then make sure what you feed them is made with all natural ingredients. Eagle Pack pet food takes pride in making a wide variety of cat and dog foods that are all natural. Posted in Pet Safety | Comments Off on Can My Pet Get Zika Virus? It’s that time of year again. Summer is here and the sun…well, the sun brings the heat. It’s a great time to be outside for your pets and for you; however, it’s also a dangerous time as it’s much easier for pets to get overheated during the summer months. 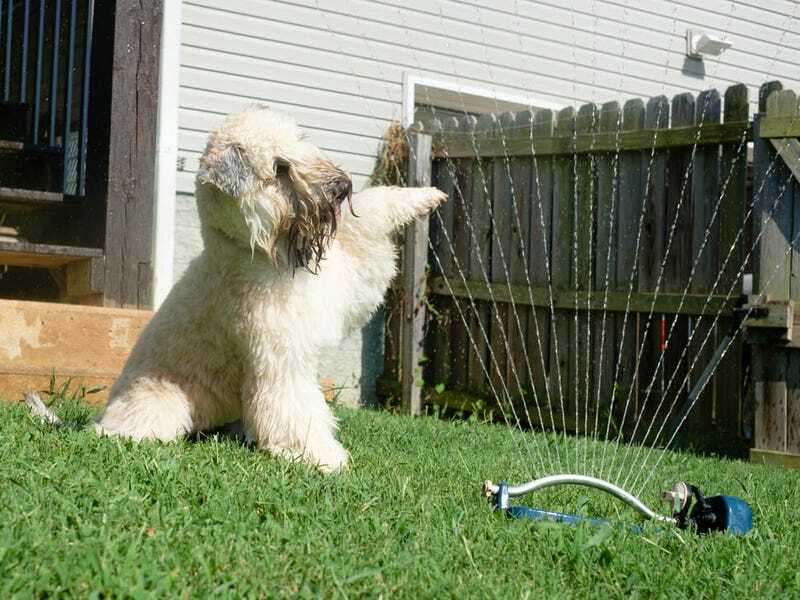 By learning how to keep your pet from getting overheated (and how to react if they do), you can guarantee plenty of fun (but perfectly safe) time in the sun. Ideally, your pet will never know what it feels like to get overheated. For example, you are surely already a wise and loving pet owner and know better than to do something that would pose immediate danger to your pet like leave them alone in the parked car (even with the windows down). Such could lead to heat stroke. Exercise outdoors early in the morning or later in the afternoon; avoid being outside when the sun is at the brightest and hottest. Carry a fresh supply of water and a collapsible water dish for your pet to rehydrate when you are out. Look for shady areas to rest if you’re out for a walk on a sunny day. Avoid too much physical exertion when it is exceptionally hot or humid. Consider taking shorter, more frequent outings to ensure your pet still gets plenty of exercise. Another tip is to be mindful of your pet’s breed and any specific conditions that might afflict them. For example, flat-faced dogs (like Pugs, to name one) are unable to pant as easily as other breeds, which makes them more vulnerable to heat stroke. Panting is something that pets do when they are getting overheated. Panting is a pet’s natural way of regulating body temperature; however, it doesn’t help in warm weather. Becoming overheated can cause your pet to suffer a potentially fatal heat stroke as well as sustaining damage to their heart, liver, brain, and / or nervous system. In high heat and humidity situations, pets can rapidly go from fatigued to distressed to being in serious danger in a matter of moments. The best way to keep your pet from getting overheated is to practice preventative techniques. If you find you’re in a situation where your pet might get overheated, monitor your pet closely and act quickly as doing so could save your pet’s life. By being aware and being vigilant, you and your pet can have a fun, cool summer. Being aware of the many dangers that threaten your pet’s health is important. This is why Eagle Pack doesn’t use any potentially harmful chemicals or additives in their pet food recipes. Eagle Pack wants your pet to be able to grow old with you. Summer is right around the corner, which means it’s a great time to make sure you are doing everything you can to ensure you pet stays safe and healthy. This ranges from evaluating the tag and collar your pet has to ensuring your pet is tick and flea-free. Even the most loyal and well-disciplined cat or dog is at risk of running away or of being stolen. Sometimes, pets can escape while you are out of town, and if your pet does not have proper identification, then it is possible you will never see your pet again. Though there is no way to guarantee a lost or stolen pet will be returned to you, having some form of ID on the pet helps increase the likelihood that pets and their owners will be reunited after a separation. 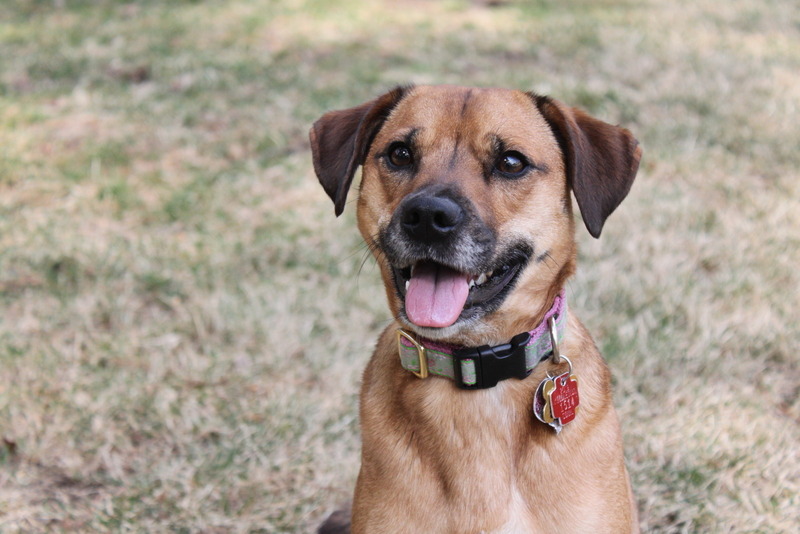 Collar and ID Tag: Your cat or dog should wear a properly fitted collar at all times. There are breakaway collars for cat owners who are concerned their outdoor kitties might get caught on something. In addition to the collar, your pet should have an ID tag that includes helpful information be it the pet’s name and your phone number, or the pet’s name and the name and number of your veterinary clinic. Microchip: If you are opposed to collars and tags, microchips have been very successful in helping pet owners reunite with their pets. Your veterinarian installs your pet’s microchip. Should your pet ever be lost, a scan of the microchip will reveal your information, and you can immediately be reunited. Note that there are occasions where a friendly neighbor isn’t the one who finds your lost pet. If your pet ends up at the city pound, then an ID tag or a microchip could save your pet’s life. As the weather gets warmer, the parasites become more problematic. Fleas and ticks love making nests in your cat or dog’s hair or fur. Even more annoying, fleas and ticks are everywhere. They are outside in the grass; they are in your home in the carpet or in the bedding. Neither indoor nor outdoor pets are immune from picking up a parasite. Keeping your home clean and your grass routinely mowed will also help keep fleas and ticks at bay. It is easy to forget to schedule regular wellness checks with your vet especially if your pet is healthy; however, an annual visit is important so that your pet can stay caught up with vaccinations. Additionally, your pet gets a professional evaluation on overall health including weight, skin condition, oral care, etc. Any potential issues can be addressed. You can also use your annual visit to consult with your vet about any concerns you might have or about questions regarding parasite prevention, microchips versus tags and collars, spaying and neutering, staying safe in harsh weather, disaster preparedness, and more. Be proactive about protecting your pet; with a proper ID, flea and tick prevention, and regular wellness checks, you can keep your pet safer, healthier, and happier. How do you plan on spending your summer? Why not spend a little time with your pets? We’ve come up with a great list of summer activities to tackle with your favorite four-legged companion. 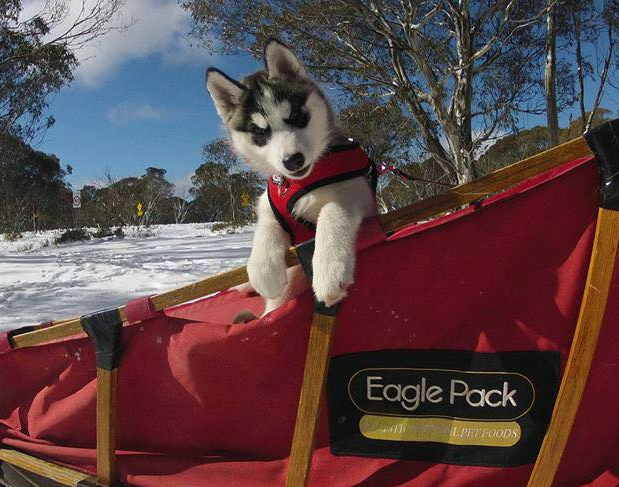 Dogs love adventure, so why not take your furry friend on a hike? Choose a path close to a lake so you can take a dip afterwards and end the day on a cool note. And always do your research when taking your dog for a hike. Here’s a great site with information for hiking with your dog. Meet up with other dog owners for a doggy play date. You can catch up with friends while the dogs run around and keep themselves entertained. If you haven’t gotten around to teaching your dog how to fetch, summer weather makes for the perfect time. Teach your pet some new tricks and spend the summer perfecting each one. Looking for some great tricks? Try this list! Nothing else to do on a Saturday night? How about an outdoor concert with your favorite pal? Outdoor concerts typically take place in a large space leaving your dog plenty of room to stretch out and relax, and it’s a fun outing for you both! Set up an obstacle course including Frisbees, hoops, and doggy treats. This is a great way for your pet to get some mental and physical exercise, both of which are extremely important to their health and happiness. If you love to bake, look up a pet friendly recipe and make your pet some new treats. You can even make it into a fun gathering by inviting your friends that have pets over to join in on the fun! Post a video online of you and your dog doing tricks, singing together, or just hanging out. Social media has become a place where people crave adorable pet videos, so give the people what they want and have fun while you’re at it! Have you ever tried roller skating with your pooch? It can be a great source of fun and exercise for you both. Grab a leash and let him lead the way! Running on the beach will keep you and your buddy fit and trim for the rest of the summer. Make sure you research your chosen beach so you know the rules provided for dog beach use, and keep a few baggies in your pocket for your buddy’s potty breaks. Turn on your outdoor sprinkler system or set up a slip and slide so you can both enjoy the water. A quick road trip with all the windows down on a hot summer day could be all the fun that you and your four-legged friend need. Enjoy your summer! Don’t forget to send us your favorite summer pictures on our Facebook page! Chances are, you haven’t thought much about dogs in the military but in fact, they’ve been used for active duty since Ancient Greece where they mostly served as guards and on patrol. Over the years, they’ve served as attackers and even as ambulance patrol. Dogs for Defense partnered with the American Theatre Wing War Service and found eager breeders ready to donate dogs and trainers to donate their time. These original dogs were trained for war and first took on their military assignments in the deserts of North Africa where they could perform sentry, messenger and other duties. Nowadays, “solider dogs” are assigned one of two responsibilities; bomb/weapon detection or tracking/protection. In both cases, they’re required to have highly selective olfactory (smell) senses. They also must be highly trainable and not prone to diseases such as hip dysplasia. As you can imagine, highly effective military dogs require a special mix of aggressiveness, precision, loyalty and training. You might think of German Shepherds as the “poster dog” of K9 Veterans, and they are common, but many different breeds are used including Labrador Retrievers. In fact, the Navy SEALS use a Belgian breed known as a Belgian Malinois. These are dogs are smaller and faster than German Shepherds. They also have a highly perceptive olfactory sense with the ability to smell up to 40 times more than humans. While other breeds have included Malamutes, Eskimo dogs and Huskies to pull sleds, these days the military primarily uses Shepherds, Labradors and the Belgian Malinois breeds. There are breeders who specialize in these dogs and identify potential solider dog candidates from their litters. Dogs that are particularly drawn to balls, Kong’s and other toys and have an extreme curiosity are possibilities. Once identified as a potential candidate, they undergo a physical screening and are put through a few training exercises. If they pass these tests, they’ll go on to K9 School. K9 School is a rigorous training process held mostly at one of the specialized training sites in the U.S. There, they’re assigned a human handler who works with them on a daily basis to form a strong human/dog team and help the dog achieve his or her their best. Generally soldiers who are assigned as handlers to dogs, train with them during K9 School however, these may not be the same dogs that go with them to war. In many cases, K9 School is training for both human and dog on how to be part of a team. Frequently, soldiers are assigned a different dog once they’re deployed but the basics on how to work together are there for both of them. It doesn’t take long for a soldier and dog to forge a bond during active duty. Thank you to all of the K9’s for your duty! 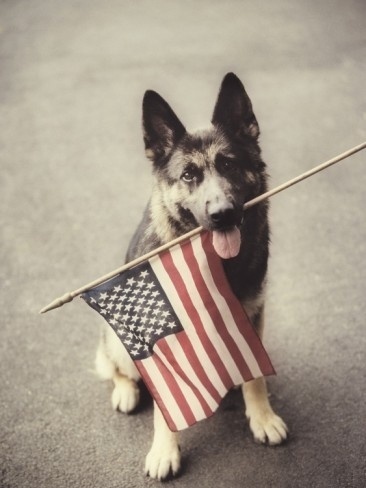 Posted in Pet Safety | Comments Off on Salute to Military K9’s! Your pet’s mouth offers a glimpse of his or her overall health. For example, red, swollen gums can indicate gingivitis or worse, gum disease. Gingivitis is a painful condition with those swollen gums. But when it progresses to gum disease it leads to lost teeth and even the spread of bacteria throughout the body. It starts with a plaque buildup and can progress to gum disease if left unchecked. If your pet has gum disease, it means the teeth have started to pull away slightly from the gums leaving areas where bacteria can form. From there, it can spread throughout your pet’s body weakening the immune system and leaving your pet susceptible to other illnesses or health problems. That’s why it’s so important to make sure your pet has regular (professional) teeth cleanings and between these in depth cleanings, you want to brush them at home. But it won’t work if you simply go out, call Lucy over, ask her to open wide and submit to your teeth brushing. If you’ve tried this tactic you know it doesn’t work. Start small. Have patience and be prepared. You can start by gathering your supplies and keeping them nearby where you plan to make the brushing a regular habit. Patience, Rome wasn’t built in a day and if you’ve never brushed your dog’s teeth before, he’s not likely to sit still for it now. You’ll work up to it. Soft cloth – to get your pet used to having something in his mouth that you control. Doggie toothpaste – Your dog WILL swallow it and the people kind can upset their tummies. Plus, beef flavored toothpaste may be an easier “sell” than your tube of minty fresh. Doggie Toothbrush – After all, their mouths are shaped differently than ours. Wait until your dog is nice and relaxed. Go for a long run or walk with your pet to tire them out. Step 1: Your goal today is simply to let him put your finger on his teeth and move them back and forth. You can wrap your finger in the cloth and insert your finger along one side or the other. If your dog fights you, back up and put a little of the toothpaste on the cloth and try again. If that doesn’t work, you might try a little peanut butter. Your goal is to get your dog to let you run your finger over his or her teeth. Depending on your dog, this can take a couple of attempts or many attempts. Step 2: Once you’ve worked up to “brushing” with your cloth wrapped finger and your dog is accepting of this, you can then introduce the brush. The process is the same for cats but you may need more patience. If it’s been awhile since your pet’s teeth were professionally cleaned, you’ll want to make an appointment with your vet for a thorough cleaning. This is especially true if you see evidence of disease like those red, swollen gums we mentioned earlier or any of the teeth are black or seriously discolored. Your vet can often catch problems before they turn more serious. Happy Holidays: What’s on Your Pet’s Wish List? It’s the most wonderful time of the year! Towns all around the country are lit up with festive lights, everyone is dressing in their holiday best and kids everywhere are diligently writing out their wish list for Santa. But what about our pets? This is a wonderful time of year for them as well, and who’s to say that they don’t have a wish list of their own? Sure, their handwriting skills may not be quite up to par, but I’m willing to bet that they would make out a list if they could. What would be on your pet’s wish list? A New Bed – Have you crawled in and tested out your pet’s bed lately? Yeah, probably not. Chances are it may not be as soft and comfy as it once was and your pet deserves only the best, right? A Warm Sweater – Brrr, it’s getting cold outside and daily walks may not be as enjoyable for the short-haired dogs of the world. A new, warm sweater could easily do the trick to keep them warm on those chillier days. Some dogs aren’t too keen on wearing clothes, but it’s worth a try! New Treats – If your pet has been indulging in the same treats day in and day out, buying something new during the holiday season could be a real – well – treat! A Certificate Good for a ‘Doggie’s Day Out’– Your dog’s tail is already wagging over this one! Most dog’s love a chance to get out of the house and embark on an adventure – even if that just means to the grocery store and back. However, they would love even more a trip to the dog park or walking the trails at the local state park. A Shiny New Collar – Do you want to see your pet proudly prance around the house with their nose in the air and a smile on their face? A new collar is sure to do the trick! They will be prancing around like they just found a new pair of jeans that fit like a dream. Trust us! A Doggie (or Kitty) Door – Ok, so this one takes a little bit more effort, but it is completely worth it in the long run. Your dog or cat will love the freedom of being able to enjoy the fenced outdoors at their leisure, without having to ‘ask for permission’ every time they need to go outside. A Trip to the Hair Salon – Is your pet looking their holiday best? Even though your pet may be hesitant upon arrival, they will leave feeling their absolute best! You aren’t the only one who wants to look their best for this year’s holiday festivities! New Games to Play – What does your pet like to do for fun? Play fetch or chase a tiny red light all around the house? Those are fun games, but why not give them a gift that keeps on giving and come up with a new favorite game for you and your pet to enjoy together? That’s a sure way to get your dog’s tail wagging and your cat purring up a storm. Quality Time with YOU – This one is sure to be on your pet’s wish list every single year. Quality time with you will forever be one of your pet’s favorite things in the entire world, so be sure to give your pet some extra love and attention during the holiday season – and all year long! Homemade Holiday Treats – Have you ever considered making your pet some homemade treats? The holidays usually inspire a lot of us to do more baking than we would any other time of the year, so why not do some research and test out a recipe to try for your pet. And for that matter, maybe Santa has a dog that would appreciate a homemade cookie as well. Posted in Uncategorized | Comments Off on Happy Holidays: What’s on Your Pet’s Wish List? We love a good chance to talk about how much we love this breed. While pit bulls are no doubt the center of much controversy, they are also the center of hearts all around the country. 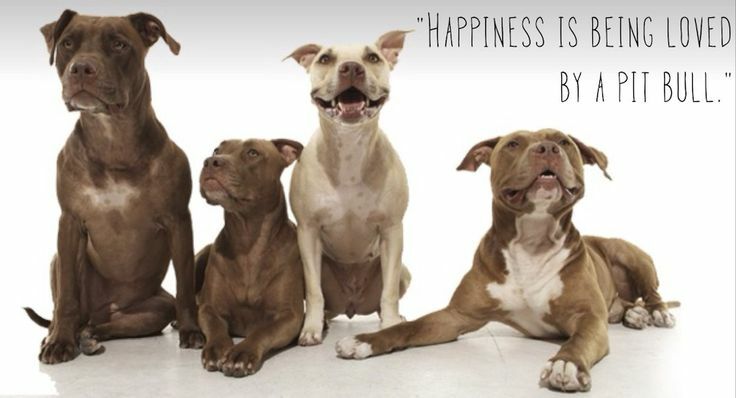 There can never be enough positive awareness spread in regards to this breed, as there are far too many pit bulls left homeless and living in shelters, waiting for someone to give them a second chance at life. Here are some things that you should know before adopting a pit bull. Everyone in America knows the stereotype that surrounds the pit bull terrier. The problem is, not enough people know that, in the right hands, a pit bull can be the most loving pet you will ever own. The whole “viscous pit bull” stereotype is a shallow concept, just as most stereotypes are. We teach our kids to not give into stereotypes, so why do so many people conform to this particular stereotype regarding pit bulls? Every dog, regardless of breed, has its own story that shapes their temperament and mentality, so don’t give in to the stereotype. Pit bulls are wiggly, cuddly, affectionate dogs. If you don’t like dog kisses then you might want to consider another breed. Pit bulls are not aloof – they like to remind you regularly of how they feel about you, so get ready for a lot of love and affection to come your way. This is a public service announcement: If you do not like the warm and fuzzy feeling that accompanies cuddling with your dog, do not adopt a pit bull! Whether you are in bed or on the couch, you are never safe from escaping a spontaneous cuddle session. You have been warned. Seriously though, pit bulls are cuddling machines. I think that one of their main goals in life is actually to see how close they can snuggle into your body. Yes, pit bulls require a reasonable amount of attention. However, they do not need a whole lot of maintenance care. They have short coats and are moderate shedders. They don’t tend to have genetic disorders like some other breeds and as long as your exercise them regularly, they are generally happy living in any size home. Although this breed frequently gets a bad rap, if you have ever met a pit bull that was raised by a loving family then you have seen first-hand how much pit bulls like to be around people. It is always so gratifying to see people’s reaction to meeting such a loveable pit bull. You can always see the shock and surprise on their face when your pit bull behaves better than other breeds of dogs that they have encountered. Your life will be forever changed the day that you adopt your pit bull. Because of the stereotype that surrounds this breed, there are far too many pit bulls left homeless in shelters all across America. And it’s almost like these dogs know that they have less of a chance of being adopted, because from the moment that you rescue your pit bull the tables will start to turn. You may have been the one doing the rescuing on that particular day, but from that day on your pit bull will spend the rest of his life rescuing you in return. Now is the perfect chance for you to give one of these dogs a second chance at life. 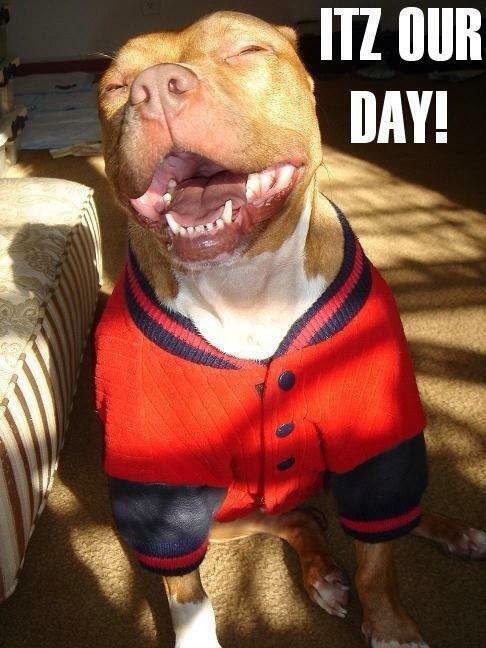 But even if you aren’t in the position to adopt, take this opportunity to spread the pit bull love. Awareness and education is the key to saving the lives of these loving animals. Over the years, our formulas have been performance proven with backyard ball catchers, show ring winners and even Alaskan dog sled racers.